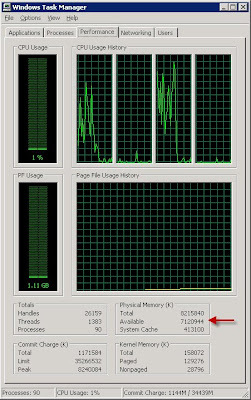 AWE enables SQL Server to use ram beyond 4GB in a 32-bit architecture. 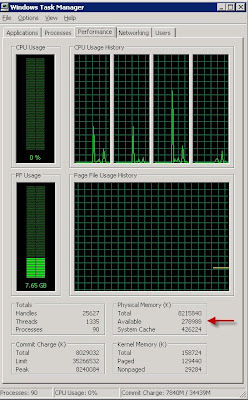 Here is the “before” and “after” states on a SQL Server with 8GB of RAM (where SQL Server was allocated 7GB). Note the 272MB available before AWE and the 6.79GB available AWE was enabled.